August 31, 2017 was a big day for Tonga Group 82. 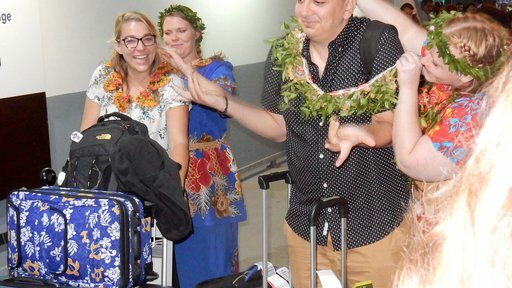 Twenty-three Peace Corps/Tonga newbies got off the plane at Fua'amotu Airport as the sun went down on August 31, 2017. They'd just experienced a day of flying from Los Angeles (via a stop in Fiji). 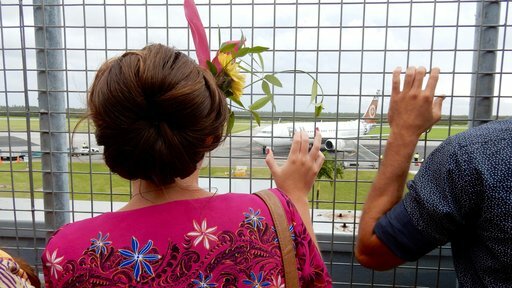 They waited for each other on the tarmac, pulled their luggage toward the terminal, and were greeted by cheers from the PCVs who waited on the observation platform. The new arrivals made it through customs, collected the rest of their luggage, and walked out the door and into the hugs of the Volunteers and staff who were waiting outside. 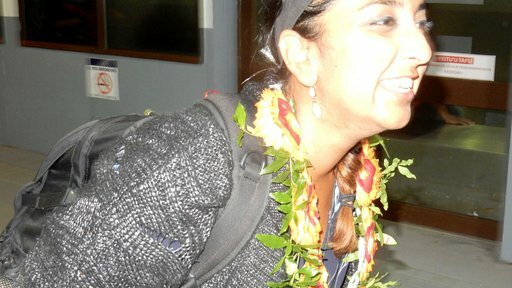 Each of the new Trainees had a kahoa (flowered lei) tied around her/his neck in a typical Polynesian greeting, then huddled with Country Director, Nancy Gehron, on the lawn outside the terminal. 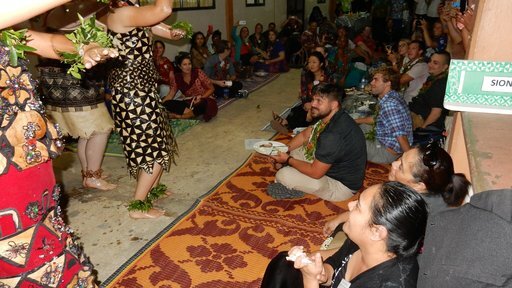 They then piled into an orange bus with their new Volunteer colleagues and headed out into the darkness, along the road to town lined with Tongan farms, villages, shops, and the people they would live and work with for the next two years. 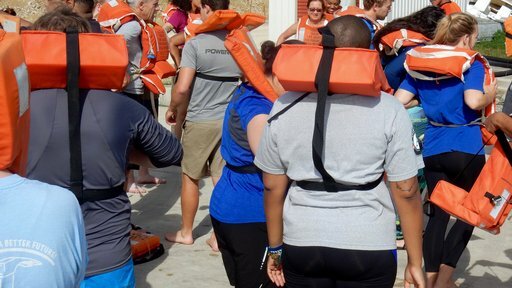 The 82s disembarked at the Peace Corps office, where they received a welcome from Training Manager, 'Elenoa Kauvaka, and other PC staff, who'd prepared a barbecue meal which the newcomers shared with current Volunteers stationed on the main island of Tongatapu. 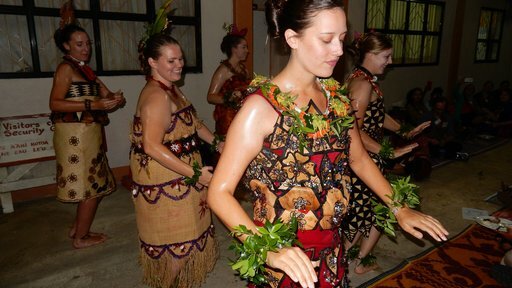 Five Dancing Fefines (Ladies) performed a traditional dance, while two local male Volunteers played the roles of "warriors," doing a dance that featured waving of wooden spears and war cries. 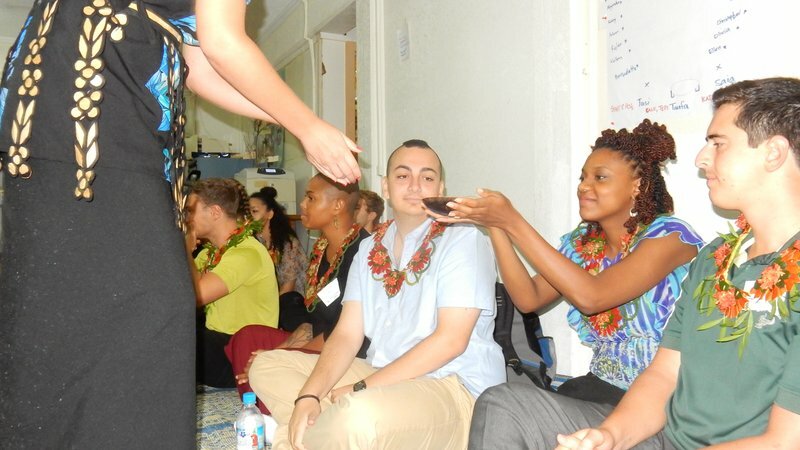 After a night of needed rest at a nearby guest house, the 24 82s returned to the PC office for a welcome kava ceremony and some introductory training activities. 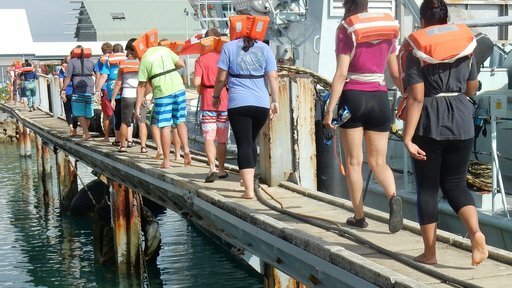 Then came Saturday morning visit to the Naval Base, where the Trainees learned how to stay safe in the Pacific Ocean. 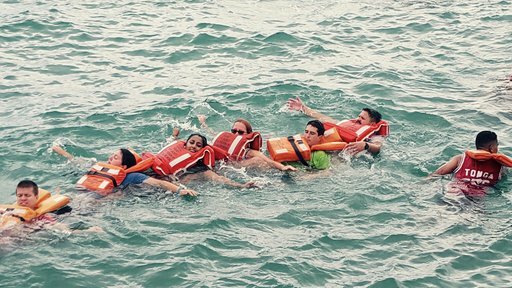 This involved learning how to properly wear a life jacket, jump off a ship, and work as a team to stay safe if they ever suddenly find themselves floating in the sea. That afternoon, they piled into PC vehicles and headed to the training village 30 minutes outside town, where they were welcomed by their new host families. 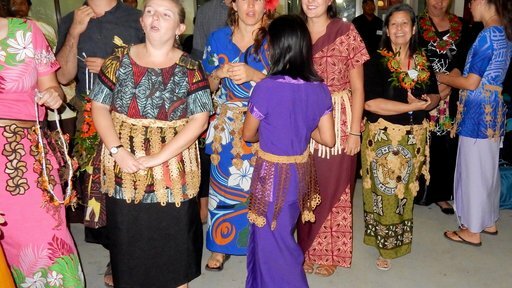 Thus began two months in a new community, with new American and Tongan friends. They would need to draw on the strengths that they brought with them. Listed below are some of those strengths, identified by the Trainees during the welcome activities at the PC office. We welcome you, Group 82!!! 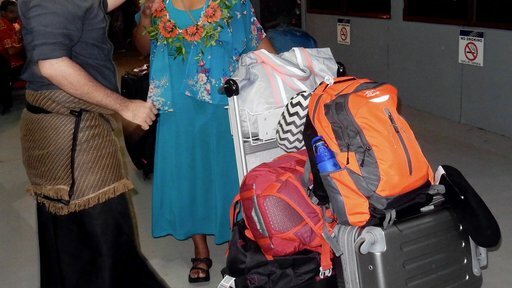 We are happy you've finally made it to Tonga!! !